DeLange, Daniel H., died in peace on March 21, 2018 at Baptist Hospital in Miami, FL. Dan moved with his family from Michigan in 1964 and taught science and math at Westminster Christian School. He soon became school principal and later served the governor of Florida for one year as assistant in education before founding Computer Time Sharing, which pioneered the use of remote computers. As a gifted entrepreneur, he began a number of companies during his lifetime. Dan was philanthropic, especially in the area of Christian education. Dan loved teaching in the classroom and carried on that love for teaching in the home and workplace. He is survived by his wife, Aisa; children, Daniel DeLange, Kris Clements, Greg DeLange, Phil DeLange, Marisol Harris, Alina Pinto and Aisa Pinto-Ramirez; and many grandchildren, great grandchildren and one great-great grandchild. 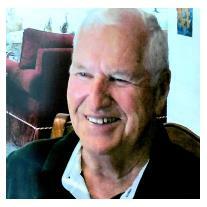 Visitation will be held at Stanfill Funeral Home on Thursday, March 29 from 6:00 pm – 9:00 pm. Funeral Service will be held at Old Cutler Presbyterian Church, 14401 Old Cutler Road, Palmetto Bay, FL 33158, on Friday, March 30 at 10:00 am. In lieu of flowers, contributions may be made to Westminster Christian School in memory of Dan’s tireless dedication to the development and growth of Christian education.